Since this month I ended up pre-ordering a bunch of stuff is time to list them all out so I don't forget what I pre-ordered or want to get. Just like before you can find my previous list right here. Sadly, as I come to expect from figure releases lately Yui was delayed. First from December to March and now it has slipped to early April. It matters not, after all I just spent a few hundred dollars in games, it's ok if stuff gets delayed. 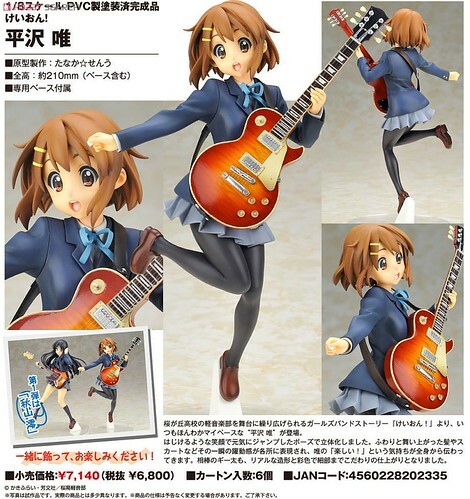 Got Yui pre-ordered at Hobby Search for 5,780 yen. Sigh... I was not thrilled by the sudden sale of the K-On! figmas. Nor was I thrilled with the almost instantaneous unavailability. This is where the second shipment comes in, I like figmas, most of my figures are figmas. I also like Yui as my favorite K-On! girl. That's all I needed. 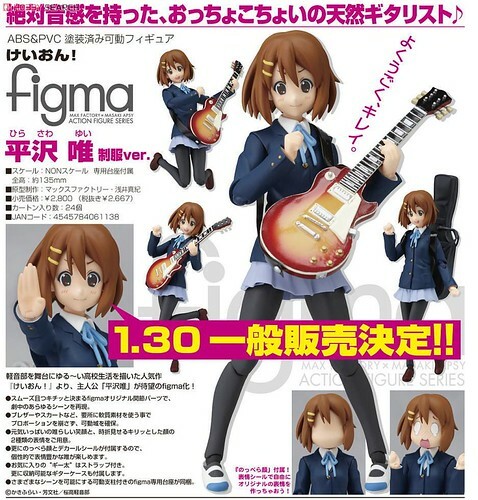 Yui is pre-ordered along with her PVC counter part at Hobby Search for 2,266 yen. I will say it again, Ga-Rei Zero has the best first episode ever and every one should go watch this show. I didn't expect Kagura to be so popular that she would sell out. If she is available when she releases next month I might pick her up. She will retail for 2,266 yen. Total for April 10 319. Oh the awesome tragic heroine and villain from Ga-Rei Zero that is Yomi. She is for sure my favorite character from the show, how can I pass her up? 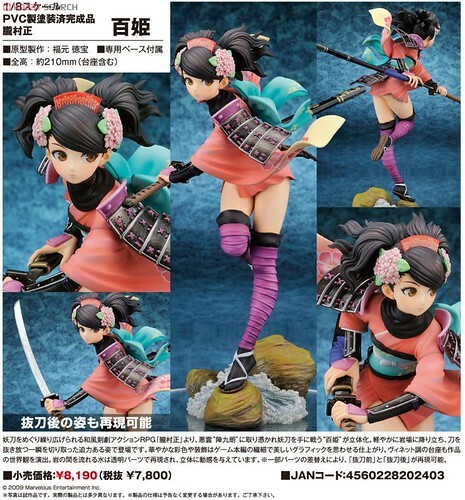 She is up for 2,266 yen. Total for May 2.266 yen. 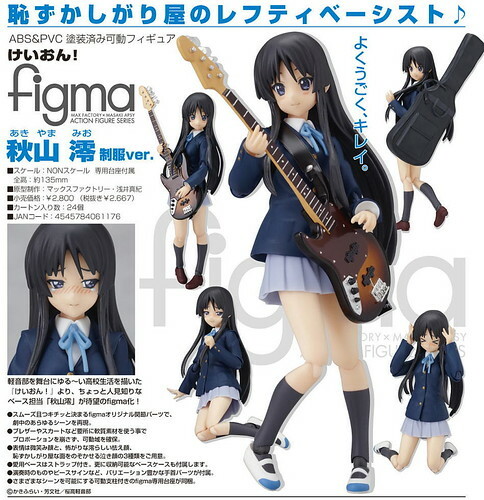 The lone release for June I want is Mio. Can't say much other than I will get her to complete the Afternoon Tea Time gang. 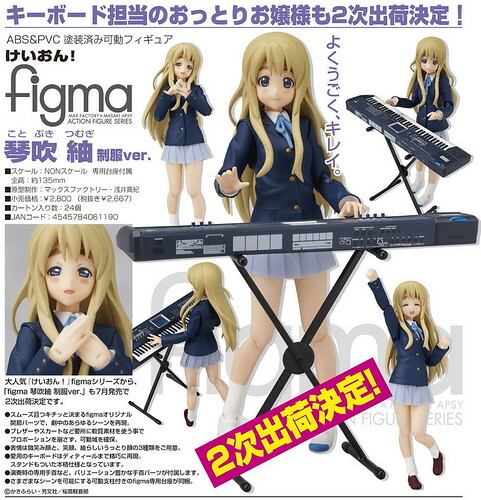 The lovely Mugi from K-On! Although she is not my favorite she has a special place in my heart after all we both play the piano. 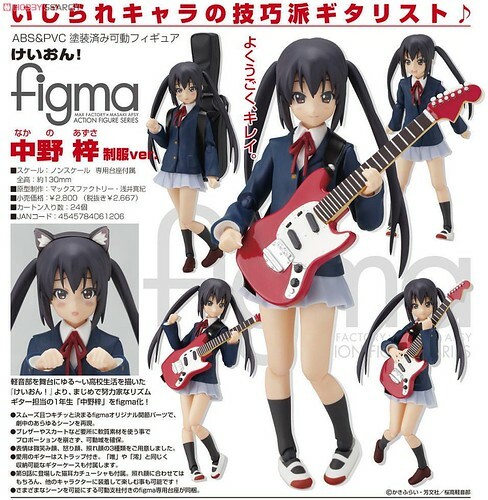 I got her pre-ordered with Yui and Mio for 2,266 yen. Is this any surprise? Got the other 3 and will get Azu-nyan when she goes up for pre-order as well. 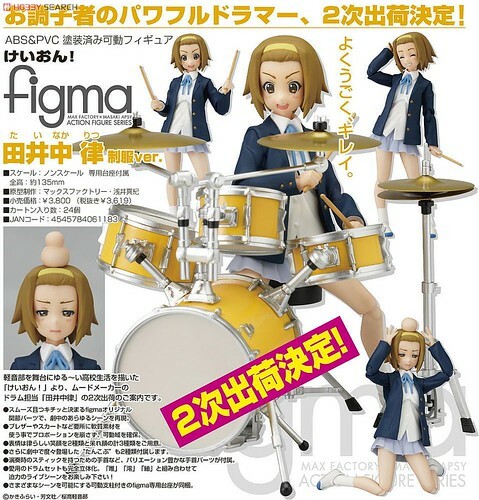 Ritsu and her drum set is pre-ordered at a higher price of 3,077 yen. Now this came as a surprise today. It's Biri Biri from GSC, there is not much to think about. Misaka is my favorite Index girl even more so after the current Sisters arc in the Railgun manga. 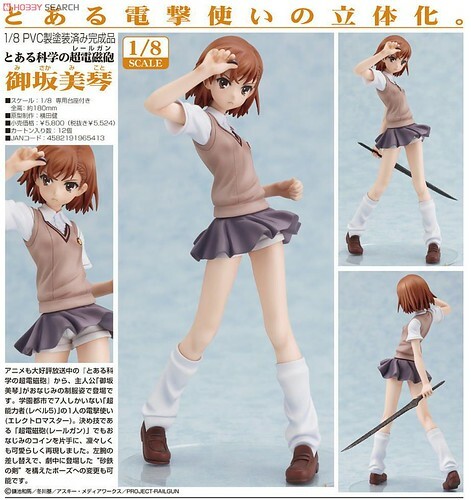 I was gonna get Kotobukiya's re-release for July of their Biri Biri but dropped that in favour of this release. Got her pre-ordered at Ami Ami for 4,410 yen. Now this, is what has me the most excited in terms of figure releases. Contrary to popular belief the Wii does indeed have excellent 3rd party offerings. Muramasa the Demon Blade is a perfect example, it surely is one of my favorite games I played last year. If I ever made a top ten Wii games this will surely be up in the top 5. I implore to you if you read this and own a Wii, buy this beautiful 2D scrolling action a game. Here we have Alter giving us one of the two main character's the master swordsman possessed Momohime. 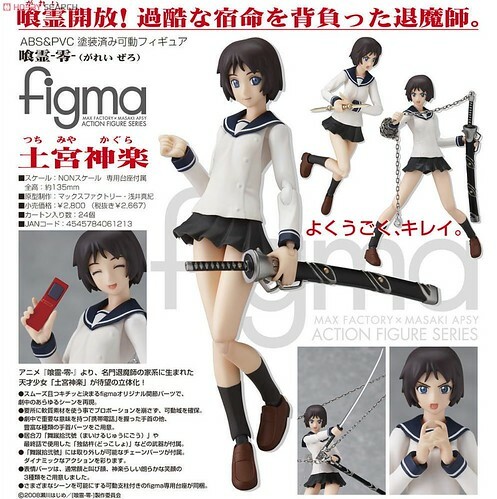 Pre-ordered her along with Biri Biri for 6,250 yen at Ami Ami. Total for July 16 003 yen. Ah! Azu-nyan just went up for pre-order, now the set will be complete. 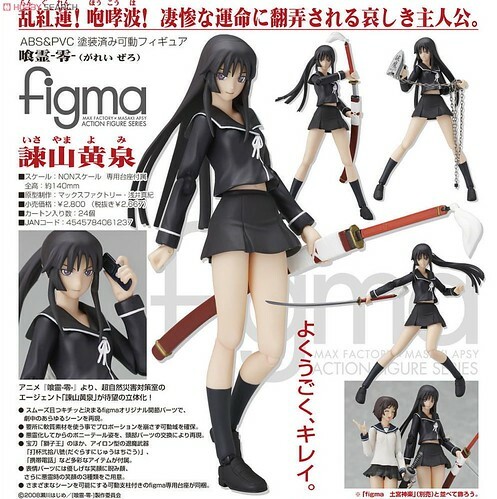 Just pre-ordered here a few minutes ago at Hobby Search for 2,266 yen. Total for August 2,266 yen. This time around it seems July will be the deepest wound to my bank account but I'm assuming both Momohime and Biri Biri will be delayed so it shouldn't be too bad. Game releases are luckily spread out after the madness that is March. Come to think of it, you lovely readers wouldn't be interested in me making a list like this for games right? One last thing I'm giving the Twitter thing a go so you can follow me @Miettechan.